MSC Cruises is highlighting the enriched family offerings available on its ships as it prepares for the summer season. This includes MSC Seaside, which sails from Miami to the Caribbean, and the MSC Seaview, the cruise line’s newest flagship which will debut this summer. Launched in DEC 2017 in Miami, MSC Seaside offers activities and facilities for all ages, including the longest zip lines at sea, four water slides, two full-size bowling lanes, a 5D cinema, a variety of expanded kids’ clubs, and more. MSC Seaview, launching in June 2018, will introduce much of these same amenities with new, exclusive on board features and programming. This includes interactive games and new characters, including a new mascot – DORE SUMMER – an 11-year-old surfer mascot who will be prominently featured in a new exploration game for kids around the ship, promising lots of prizes for young guests. There will also be a social media challenge for teens to participate in, including a Summer Selfie Contest, in which juniors aboard the new flagship will compete to complete a list of 30 must-have selfies around the ship. 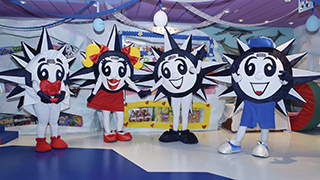 There will also be a live family show for parents and their kids to participate in, the DOREMI Summer Game, where they can challenge each other to name popular songs and videos, and the DOREMI Summer Parade, which will take place every sea day around the pool. 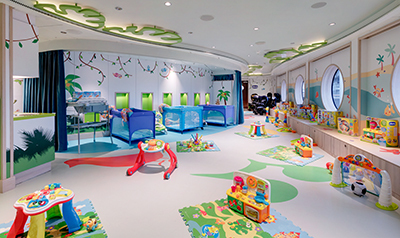 The ship also features a Chicco baby room and two LEGO rooms – one for kids ages 3 to 6, and another for kids ages 7 to 11. Similar spaces are already available on MSC Seaside. Also new this summer is the Family Explorer Club – a purposely designed program of tailor-made excursions – that kicked off this spring on board MSC Divina and is now available in many ports in the Mediterranean and Northern Europe. During these interactive tours, participants act as detectives and explorers, with children playing a key role in accomplishing a unique mission on each tour, inspired by the history of the destination and featuring an iconic historical character, symbolic of the city or location. Equipped with interactive explorer maps, parents help read the instructions and start the mission, where kids receive stickers for every task they accomplish to take home as a souvenir at the end of the trip.